After the huge success of the notch design display, which has seen the waterdrop notch, it seems that companies are moving ahead with new camera hole design of the display. After the infinity-O display to feature in Galaxy A8s of Samsung. Lenovo is all set the launch the smartphone with camera hole display. It seems that Lenovo just loves taking its remaining smartphone fans for a ride. It was chided just a few months back for misleading them into thinking that the Lenovo Z5 would have an all-screen face. That didn’t happen until the Lenovo Z5 Pro and its sliding camera. 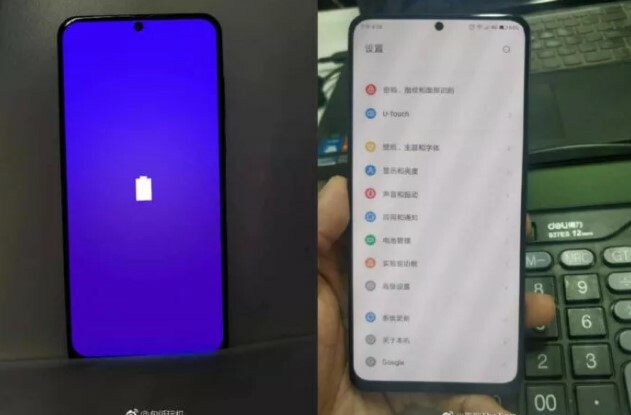 Now it seems that it has another variant in the works, one that rides on the latest trends that puts a very visible hole right in the middle of the Lenovo Z5s’ forehead. The Lenovo Z5s, if that is really its name, actually first appeared at China’s TENAA as the Lenovo L78071 with some interesting specs. But thanks to the fact that the phone’s screen there is turned off, one of its two defining features went by unnoticed. At least not until this leak. Photos and even a video of the phone with the screen turned on has just leaked and, surprise surprise, it’s trying to do a Samsung or a Huawei. There’s a very obnoxious hole on the screen, top, and center. On the hand, it gets out of the way of any critical piece of information. On the other hand, it’s probably going to eat into the text of any notification that will have the misfortune of wandering too far. Admittedly, that’s not the only Z5s’ only defining a feature, at least as far as Lenovo-branded smartphones are concerned. The TENAA listing reveals what is Lenovo’s first triple camera phone. It also shows a fingerprint scanner on the back. Lenovo seems not yet prepared to make that jump. Lenovo itself doesn’t seem to make a secret of this feature. According to another leak, the official poster for the phone makes it unambiguous that it will have a circular cutout at the top. It also notes a December launch, which is also when phones of its kind are expected to appear.